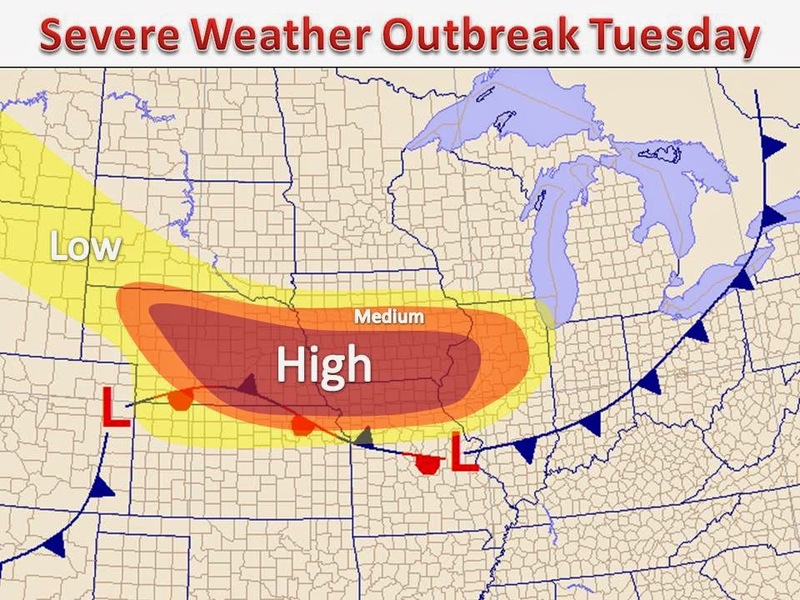 Numerous strong to severe thunderstorms are forecasted to develop in the Great Plains on Tuesday. Damaging winds and large hail are certainly on the way for tomorrow, but the threat for a few strong tornadoes also persists through the afternoon and evening on Tuesday. The highlighted area in red/dark orange appears to be the hot spot tomorrow. Outdoor plans and location of parked cars should be considered for those who resides in these areas. 16 millions people are in the highest risk area tomorrow. More information will be posted later tonight.